Our core aeration service removes small plugs of soil from the lawn. These cores break down and redistribute valuable nutrients to the soil. The holes left in the lawn provide passageways for air, water, and nutrients. to reach the roots. As the soil and roots expand to fill the holes, the surrounding soil is allowed to loosen, reducing compaction. 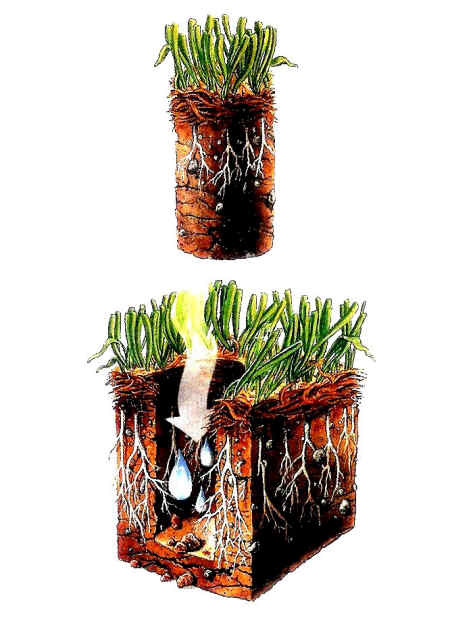 Larger, stronger roots result in grass that is thicker and more drought resistant. Core aeration is a service best performed in the summer or fall. Spring aeration can reduce the effectiveness of spring applied crabgrass control. Core aeration combined with our lawn care services provides a strong, healthy, lawn.